PRICE REDUCED! COME LIVE THE ULTIMATE FLORIDA LIFESTYLE! This lovely updated and remodeled 2 bedroom, 2 bath waterfront home is waiting for you! Situated on a quiet street, with wide open canal water views. At the inviting front foyer you are greeted with a view of the water from the moment you walk in. It has a well maintained light and bright kitchen with lots of cabinets and storage and a counter sink/breakfast bar overlooking the comfortable great room. Large windows bring in masses of sunshine and the doors to both the screened in Lanai and double doors to the back deck have inset mini-blinds in the glass. The split-bedroom layout affords privacy. The Lanai is large and inviting - a perfect place for an "al fresco" meal or pre-boating party. 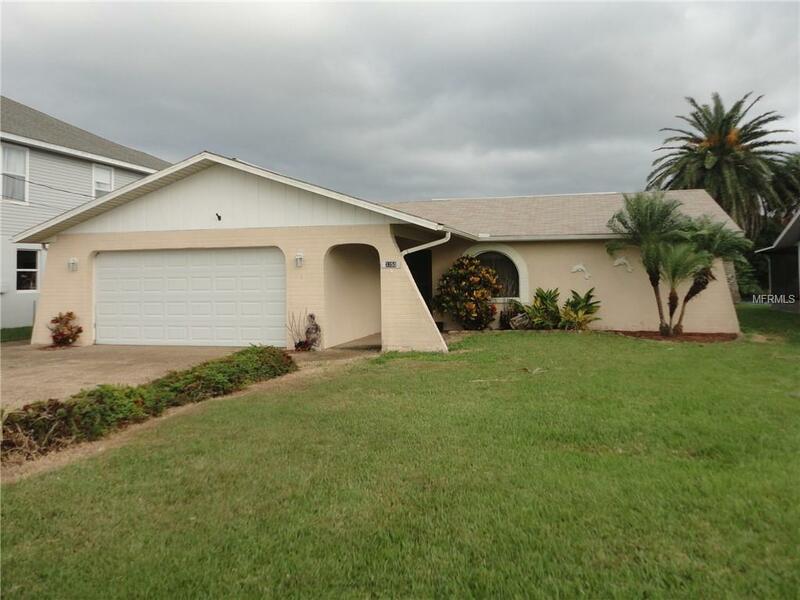 On the opposite side of the home is another smaller lanai with a hot-tub spa. The flow of this wonderfully appointed home and floor plan make for a perfect place for entertaining friends and family. There is a floating dock / wooden deck for enjoying the golden glow of the sunsets over the canal. You will truly feel like you are in your own personal oasis living in this waterfront home - perfect for entertaining or getting away from it all. Bring your boat - (up to 24' says the seller); it's a short trip out to the Gulf of Mexico - the fish are waiting for you! The perfect home to "get away from it all", but be close to everything; minutes to US 19 shopping, Weekie Watchee, Spring Hill and all area Restaurants and beach pubs.